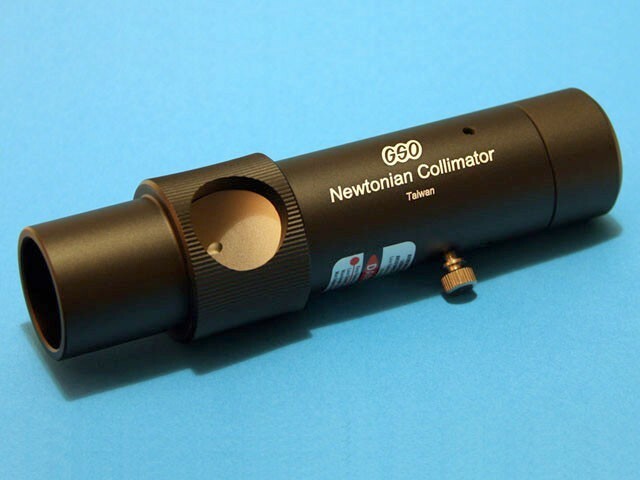 Home :: OPTICAL ACCESSORIES :: Other Accessories :: Laser Collimators :: Laser Collimator for 31.7mm, 1.25"
This is a high quality laser collimating tool designed for accurate collimation of Newtonian and Dobsonian reflectors. 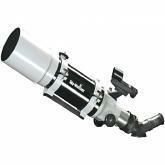 It can also be used for refractors with equal success. It was originally designed for the use with 1.25" (31.7mm) focusers. Please bear in mind that this is a Class 3A laser device of less than 5mW power! Still, please make sure that you will never point it into eyes of others, and that children won't have access to it. It can damage vision if consciously staring at it for a while, otherwise the natural reaction of the pupil will save us from any damage at this level of radiation.